Naughts & Cross stitches: Softball Cancelled means stitching day achieved! So with softball cancelled all day today I spent the whole day stitching. 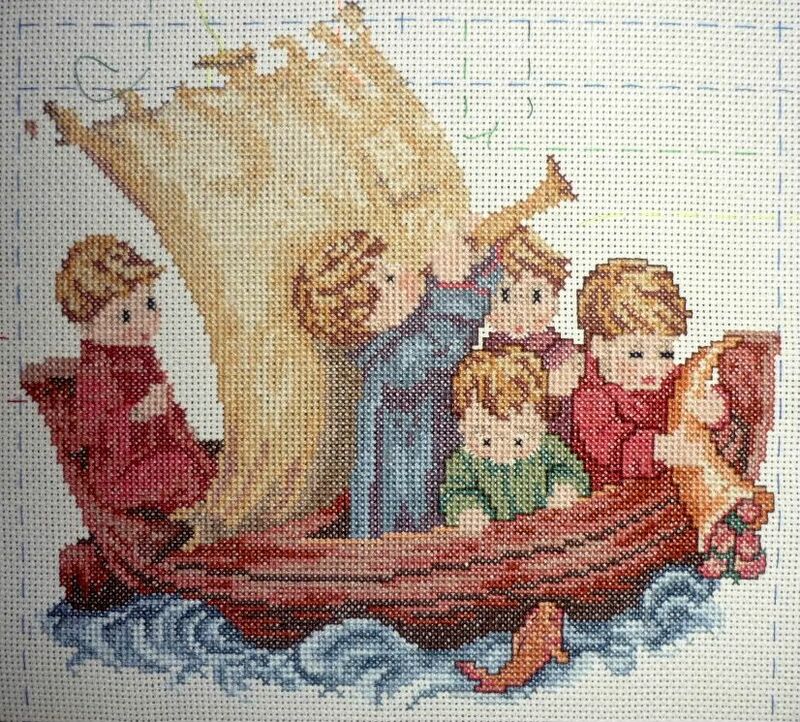 I have finished all the sail now just the detail around the boom and the mast :D At least that is what I think it is called. Correct me if I'm wrong I don't really know my sailing terms. I have also done a whole pile of back stitch, it is really making it pop as annoying as backstitch can be it does have a very good effect. I also spent some time today pulling out the tacking around the guys. It wasn't easy at times because I pierced the tacking threads. While I did this Phill and Dad spent their weekend under a landrover replacing the gear box twice. They put it in today and then realised that they had forgotten a bearing or something and had to pull the whole thing out, put the piece on and put it back. So a job that was meant to take 2-3 hrs took all day. Oh and WELCOME to all my wonderful new followers :D It is growing slowly! Fab piece. btw - followed your link from craftbubble!